We are all familiar with mobile app notifications and thanks to web push notifications it is now becoming increasingly possible to recreate this experience without an installed app. Web push notifications allow users to subscribe to site notifications by responding to a single prompt and enable you to reach your web users even once they have left your site. 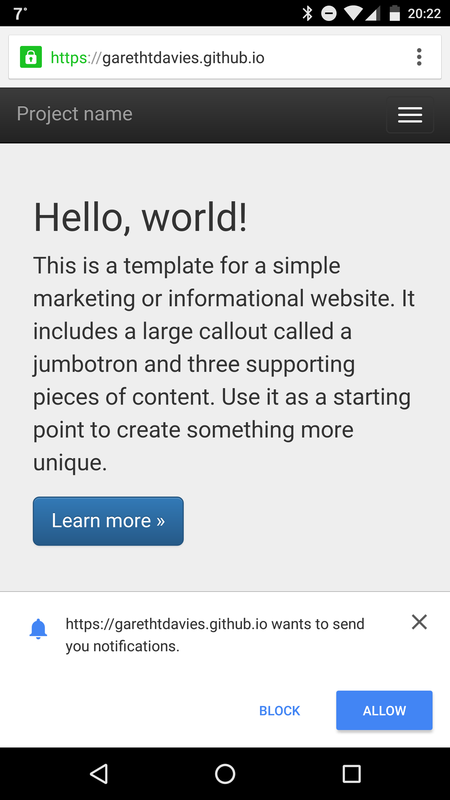 Whilst web push notifications work with desktop browsers (currently Chrome, Safari running Mavericks or later and Firefox very soon) they shine for Android users where they truly offer a native app experience as the following sample web push message demonstrates. This isn’t quite the holy grail it first appears as iOS isn’t supported and implementation varies by browser and OS, notably desktop notifications on OSX. 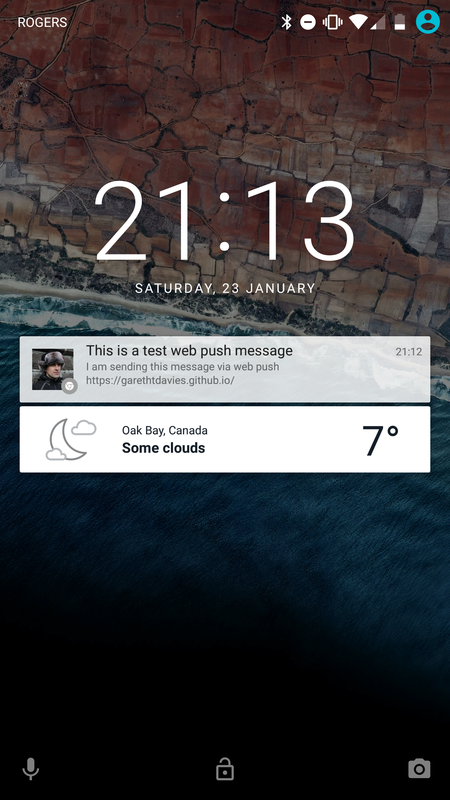 There are plenty of resources for learning more about web push notifications and Google offers an excellent tutorial if you wish to tackle the problem on your own. Apple’s Safari Push notification documentation is located here. Fortunately however there are a growing number of services that manage the process of managing subscribers and message delivery and so you do not have to concern yourself with the multiple implementations. It is a rapidly expanding market with established services such as Roost being joined by the likes of OneSignal, PushCrew and XtremePush among others. After testing many different solutions I ended up using the SendPulse service primarily due to their excellent free tier, clear pricing and a well documented API with several client libraries. Installation is as simple as inserting a single line of JS into your page and including a couple of files (a service worker and manifest file, which perform the behind-the-scenes magic for Chrome). For native notifications you will need your site to be served over HTTPS as service workers enable potential man-in-the-middle attacks. 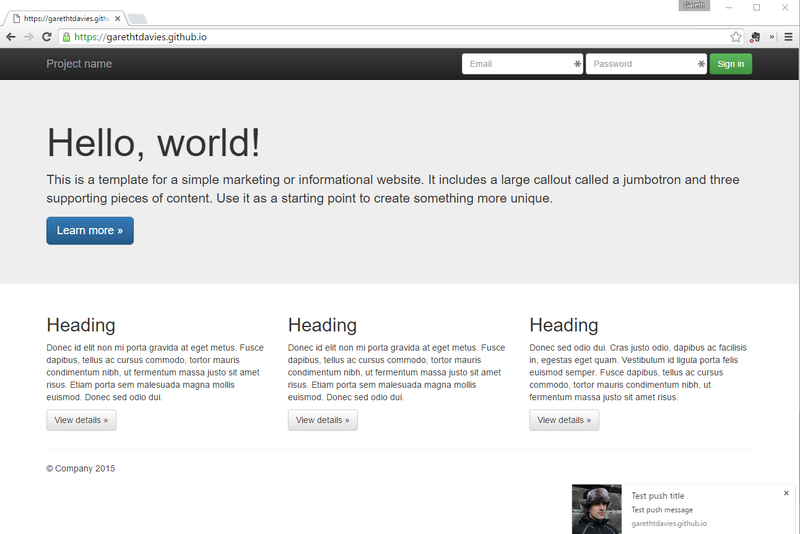 Fortunately GitHub pages offer SSL support and so can be used to test the service. You should also take note of a powerful feature in the docs that you may customise the installation for each user by sending custom variables that you may later use to target message delivery. And that is it for the SendPulse setup and you can start using their website control panel or API to send messages to subscribed users! For the remainder of this article we will install a package to simplify using the service directly from within a Laravel application. Using the default settings a token will be stored in your public directory but you may change this to store the token in either a session variable or via memcache. Full stack developer based out of Victoria, Canada.